I am making slow progress still and might not have posted today, but I have had one of those lovely little moments when life comes together very neatly, so I thought I'd share. Talking to my sister, who is the keeper of the family history, a week ago she mentioned that we had a relative who was born in a lighthouse. When she checked it out and sent me the details it turned out that my great-great grandmother was born in a lighthouse in the early 1830s. Her family then lived at two other lighthouses in the same part of the country. Funnily enough, this was all only about an hour's drive from where I live now (which is more remarkable when you realise that her family emigrated, mine were immigrants back into the UK, but that I have ended up in this part of the country purely randomly). I am, for various reasons, feeling quite displaced and disconnected at the moment, but this has pleased me inordinately. On to the quilt: the top two row area joined together: you can see I added little pieced strips on either end of the top row to make it long enough. Since all the lighthouse blocks, and the word strips, are made without much reference to the size of what is around them, the word strips/lighthouses do not line up perfectly. This is fine by me - just saying. What I have done is to line up the central lighthouses and let the rest do what it wants. Next job, I think, is to print a few more names: the bottom row isn't as wide as these two and I'm pretty sure I'm going to add one more column of words down the right hand side to get it to the right width. I'm linking up with My Quilt Infatuation today for Needle and Thread Thursday. Wow, what an amazing coincidence about your great-great-grandmother, and how neat to find that connection. It is really exciting to see the rows together; it seems like you will be sewing it all together rather soon. Thankfully you have some one who keeps the family history going...this is coming together beautifully!! It's so fun to watch your progress! Well, then, you are stitching yourself a place, and a new chapter in the family history. Of course, lighthouses are all about geography, aren't they? I was interested when you added Orkney, because that is where my 3rd great grandfather was born. It's interesting how stitching and sharing about it makes the world seem a little smaller and more familiar. Your quilt looks wonderful. How cool to find a connection with lighthouses in your family history and that your ancestor was born so close to where you live now! I love how your lighthouses are looking together! Great to learn those family stories! Your progress looks wonderful. Goodness, Kaja, what a sweet coincidence to get this information while you're working on lighthouses. It's such an interesting story, I'd have to search for more information in the lighthouse archives. Your lighthouse quilt is coming together exactly as I expected: beautifully! I am so in love with these lighthouses. It's wonderful how things like this happen! I'm enjoying watching how this is evolving! You must have been in awe when you heard about your family history involving lighthouses!! What an exciting time she must have had living in lighthouses! Your quilt is looking great - so much fun to see your progress! How completely awesome to learn this about your family history (and perhaps why you were so drawn to creating lighthouses). That truly makes it seem like destiny has played a part Kaja. What an amazing family history! How wonderful that your sister could find all that out. Your quilt is looking marvelous! 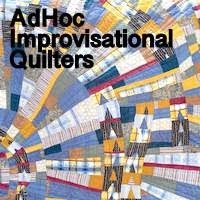 I reckon you were destined to make this quilt with lighthouses on! How comfortingly bizarre to have a back story like that, as provenance for this quilt! A real family heirloom this. I don't suppose you have included your GG grandmothers birth- light house have you? What a delightful piece of family history. This is a gorgeous quilt! I am a keeper of our family history - trying to gather as much as I can while I can. What a fantastic story! I hope you put something of this story into the quilt.